Died: 24th October 1915; age 41; at Ipswich. 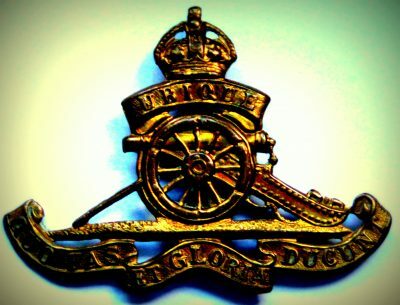 Rank: Gunner; Service Number: 36083; Regiment: Royal Field Artillery, 5th Brigade. Relatives Notified & Address: Son of James Sewell Carter & Emma Carter; husband of Nellie Mary Carter, of 86, Surrey Road, Ipswich. 1881 Lincolnshire Buildings, Upper Cavendish Street, Ipswich. James was 7 years old and living with his parents & siblings. James Sewell Carter, 55, a Labourer, born Ipswich. Emma Carter (nee Watson), 31, born Caston, Norfolk. Emma Susannah Laura Carter, 10, born Wicklewood, Norfolk. Alice Caroline Carter, 8, born Ipswich. Albert Edward Carter, 5, born Ipswich. Gertrude Rosanna Carter, 3, born Ipswich. 1891 65, Harland Street, Ipswich. James was 17 years old, an Iron Turner & Fitter. He was living with his parents & siblings. James, 66, a Weighbridge Officer & Clerk. Albert, 15, an Office Boy. 1901 Military, Stanhope & Wellington Lines, Aldershot, Hampshire. James was 28 years old, Soldier ranked Bombardier in the 92nd Battery, Royal Field Artillery. His wife was with him. 1911 ‘Shannon Inn’ 23, St. George Street, Ipswich. James was 37 years old, a Beer House Keeper – Licensed Victualler. He was married & Head of the Household. James’s father, James Sewell Carter, died 1900, Ipswich. James William Carter, born 1904, Ipswich. Soldiers’ Effects to Nellie Mary Carter – widow.